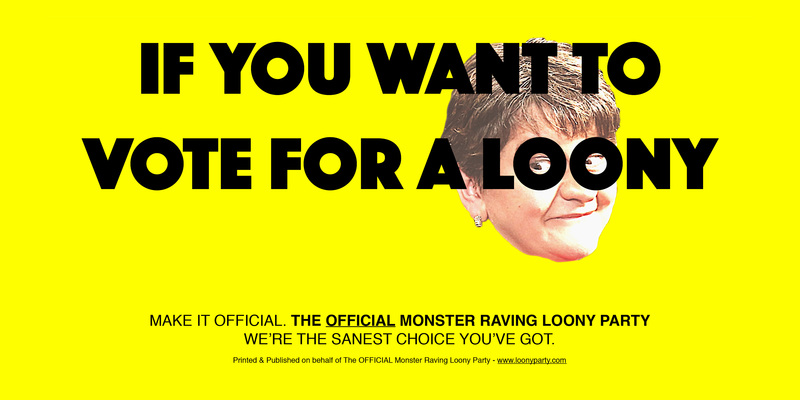 For the first time in its history, the Official Monster Raving Loony Party finds itself in the unusual position of probably being the sanest option for voters. 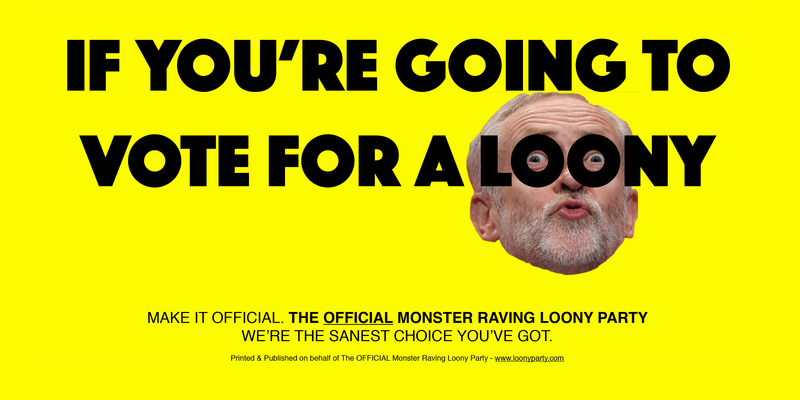 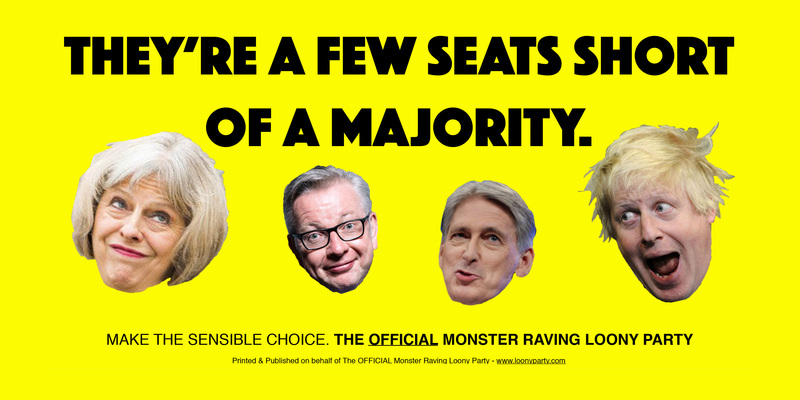 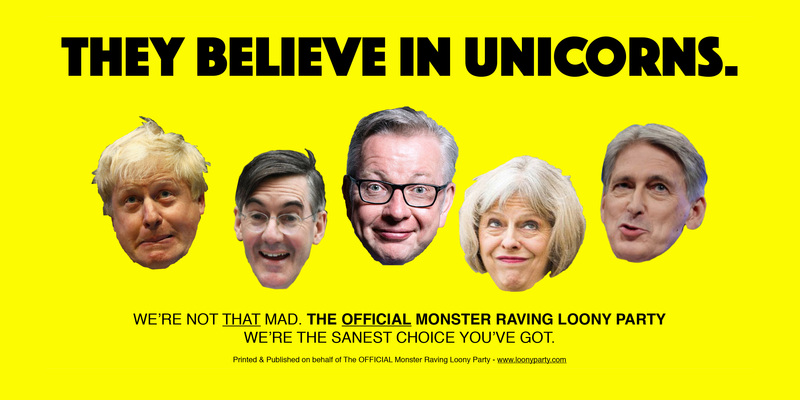 With a general election imminent, they have even beaten the other parties to an election advertising campaign which highlights why the Official Monster Raving Loony Party might just be the most sensible choice at the ballot box. 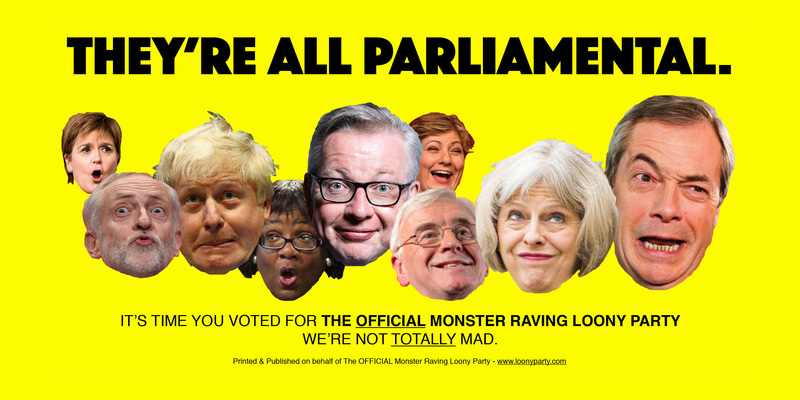 Parliament is in meltdown because the major parties are incapable of providing any answers to anything. 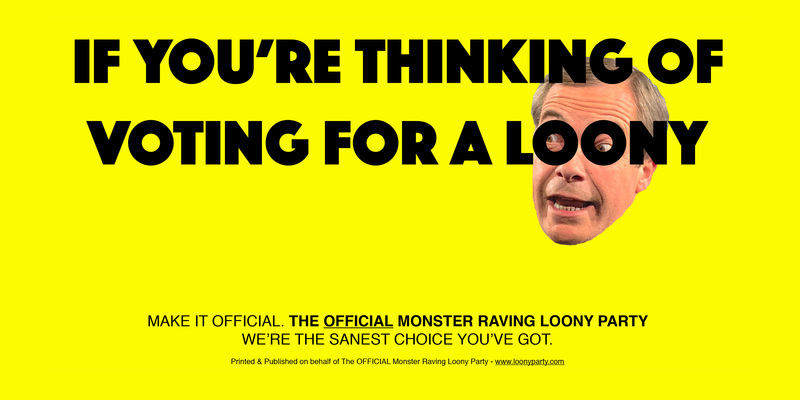 They can’t even agree with their own party members. 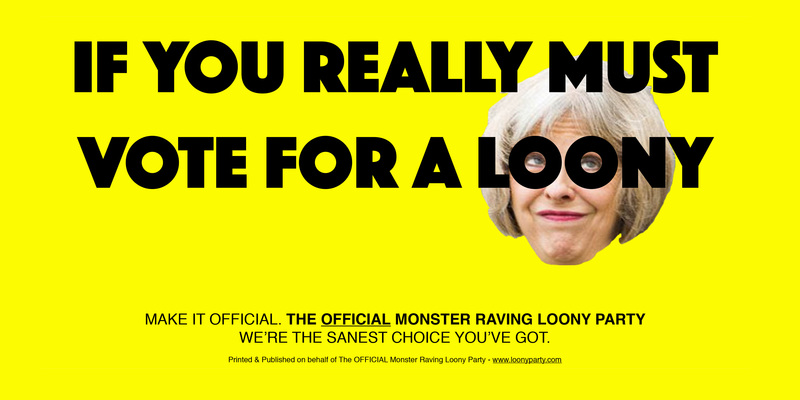 So why shouldn’t the Loony Party have their say in running the country? 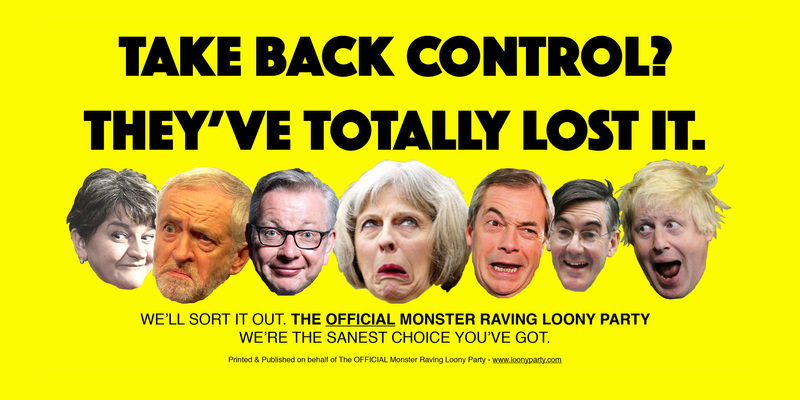 It can’t possibly get any crazier than it is at the moment. 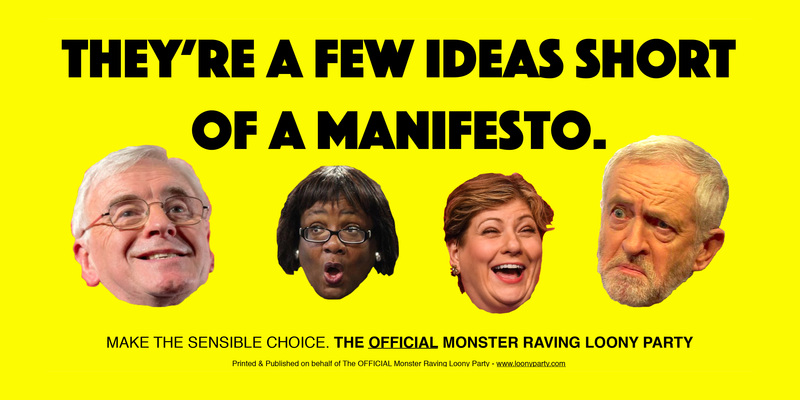 The Official Monster Raving Loony Party is a registered political party in the UK.